Improving on previous models, the Hitachi G12SS2 4-1/2 in. 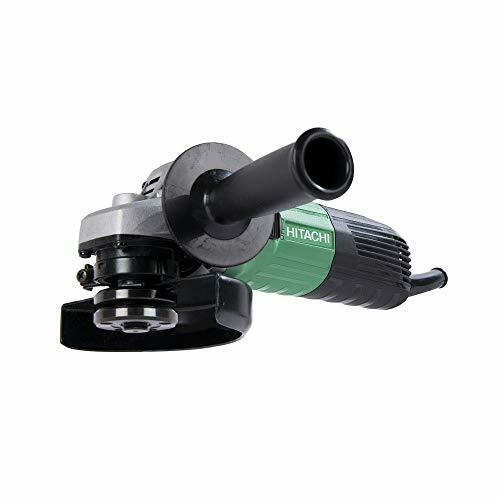 Grinder feature increased performance with a power input of 5.1 Amps and higher overload durability. The enhanced motor design creates higher cooling efficiency and ensures motor durability, delivering maximum performance on tough jobs. Spindle lock provides quick and easy wheel changes Overload durability for increased life and reliability Includes: 5.1 Amp 4-1/2 in. Angle Grinder - G12SS2,Side Handle,Wrench.